Requested Arnoff to contact a seller remotely and schedule a disassembly of a very large and heavy hutch in Pa , pack and ship up to Rhine beck . Then reassemble in place, in my kitchen. All happened very smoothly and with no problems . 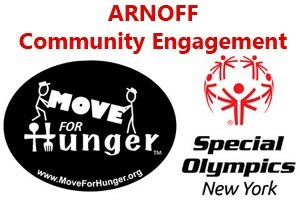 Very satisfied with the Arnoff team.